When you are struggling to make ends meet, it’s normal to want to withdraw and avoid your creditors. It can be tempting to simply wait until you can make payments before taking any action, but sometimes waiting may not be your best option. In some situations, filing for bankruptcy right away can help. The best course of action for each individual depends on how vulnerable you are to creditors and what type of debt you are dealing with. Before filing for bankruptcy, everyone should consider whether they are judgment proof, at risk of losing their property or can have their debt discharged by filing. Some individuals may be judgment proof. This means that creditors have no legal opportunity to collect their money from you even when the courts have granted a judgment. You may be safe from collection when you don’t own any property, lack a bank account and have little to no income. If you do own property and you are behind on payments, then your property may be at risk. Filing for bankruptcy can help you catch up on payments or arrange a different payment schedule with creditors. It’s also important to consider that not all debts may be cleared during bankruptcy. Past due child support, income taxes, and student loan debt are all types of debt that are unlikely to be discharged. For over 25 years, bankruptcy attorney Joel R. Spivack has provided his clients with compassionate legal services. His goal is to help every client make informed decisions regarding their debt relief options. His law office can help you determine what types of debt relief services are right for you. He believes no one should be forced to choose between repaying debt and meeting monthly expenses. If you are considering filing for bankruptcy, then it’s important to consult with an attorney that will protect your rights. For more information, reach out to the law office of Joel R. Spivack at 856-488-1200 or via our online contact form. 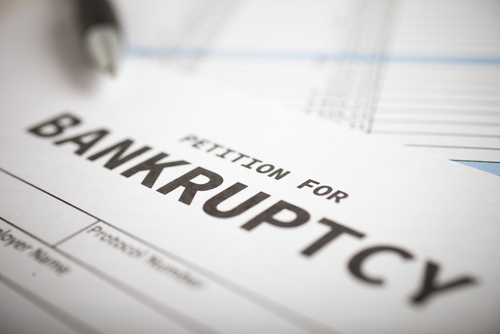 ← What is a Chapter 13 Bankruptcy Cramdown?